Horse Parkour is much more fun than usual one. Here you will have to carefully use a horse to pass all tests in Minecraft PE 1.0.0. This is several times more difficult so you'll be even more nervous. In fact, the map is built very cool and has common features with the obstacle course. 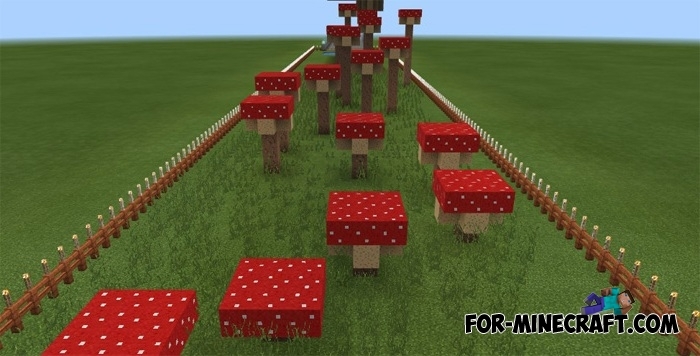 For example, you will find yourself on a mushroom parkour, the track with obstacles, where the concentration and skill will be tested at 100 percent. After the spawn, go to the stable where you have to choose a horse for further passage. Then ride to the starting line and begin the countdown (if you play with your friends). During the passage, players are not allowed to break the blocks and use hacks.